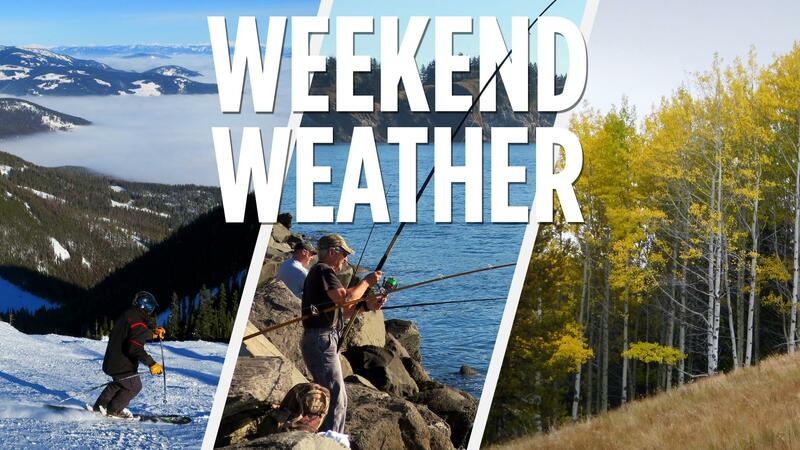 Temperatures will drop – slightly – later this week and into the weekend, although the weather will remain unseasonably warm. Thursday will be partly sunny with a high near 54 degrees. Friday morning there is a chance of snow after 4 a.m. The low is expected to be 30 degrees, according to the National Weather Service. Friday there is a 20 percent chance of snow before 10 a.m. with a high near 39 degrees. Friday night the low will drop to 22 degrees. Saturday will be sunny with a high near 40 degrees, followed by a low of 22 degrees Saturday night. Sunday will be mostly sunny with a high near 41 degrees, according to the National Weather Service. This year’s mild winter is linked to the colder-than-average east coast temperatures, said meteorologist Matt Fugazzi of the National Weather Service in Spokane. A “trough” of relatively low pressure over the eastern U.S. has created a ridge of higher pressure in the west. “That general average pattern has allowed us to escape with somewhat milder temperatures,” Fugazzi said. However, as evidenced in the Spokane region, ripples of low pressure have come through bringing colder weather and snow with them. But, they’re immediately followed by a resumption of high pressures, Fugazzi said. Published: Feb. 7, 2018, 12:08 p.m. Updated: Feb. 7, 2018, 2:10 p.m.